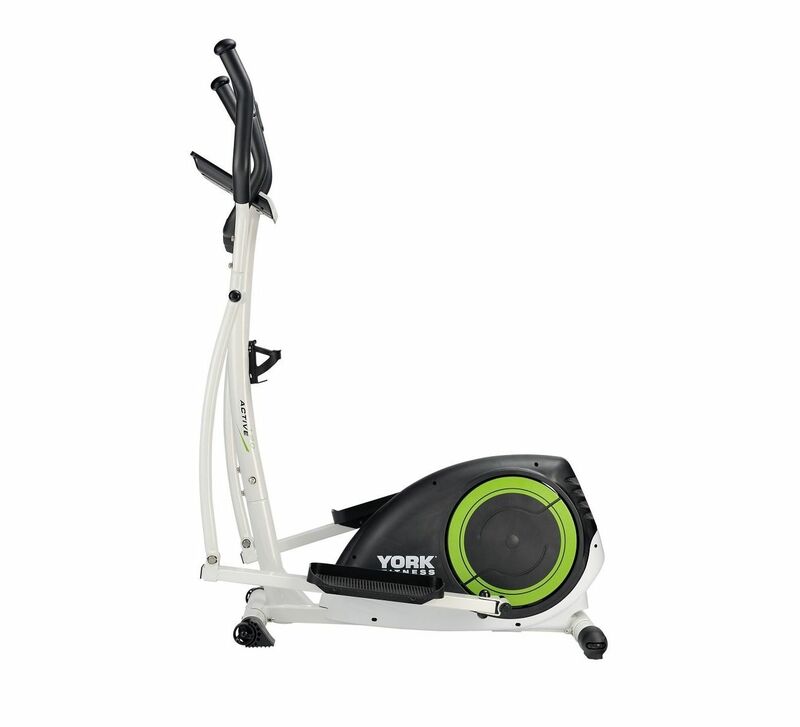 The York Fitness Active 120 Cross Trainer features an impressive 16 levels of magnetic resistance and a large 7 KG flywheel. Perfect for burning the calories at home this quality cardio machine features a 12" stride length to provide natural workout in a compact unit. The large 5.75" LCD clearly displays workout information and the choice of 18 motivating programs will help vary your cardio sessions. Hand pulse sensors provide feedback on heart rate. 18 (12 pre-set, 4 HRC, 1 user, 1 manual).